Autumn Equinox | QuantumPhoenix.net – Esoterica, Paganism & Ritual Magic. 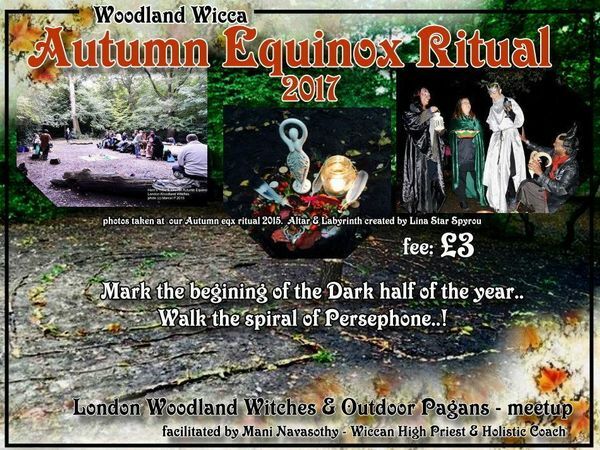 Join us in the Woods for magically marking the start of the dark half of the year, to walk the journey (spiral) of Persephone, and a celebration of AUTUMN Equinox. Meeting point: Garden area of `Woodman’s Pub’ (Archway Road) at 3.30pm. Schedule: At 4.20pm you’ll be led by one of our ritual team members to the woods ( 10min brisk walk). There you’ll be greeted by the facilitators and consecrated, and welcomed into ritual space. This Seasonal ritual will follow Wiccan format and include Witchcraft & Wicca mythology as often practised by covens. This is an open ritual held in an outdoor park/woods with easy public access..
Once you enter the woods, you will be given magical instructions on what is to follow. Then there will be a 10min walk through woods to the ritual space – where you’ll be greeted, consecrated, and invited to walk the spiral of Persephone. At the centre, you may have a moment to contemplate the coming of dark half of the year, eat a few seeds of the Pomegranate (as Persephone did in the myths). Then you will can carry on and join the magic circle for other part of the ritual. 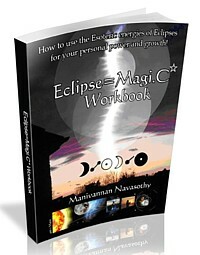 • eBook `Coven Guide: Become an initiated Witch (http://witchcraftandmagic.uk/book-coven-guide-become-an-initiated-witch)’ – written by Mani (Wiccan High Priest with 20+ yrs of experience in craft, coven & initiation). 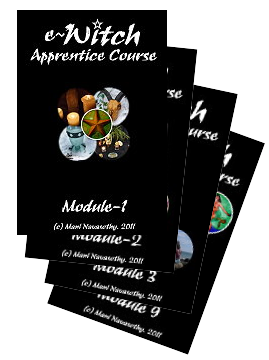 • eCourse – e-Witch Apprentice study course (http://witchcraftandmagic.uk/e-witch-apprentice-course) . (home study course in 9 modules. study at your own pace. Contact with Tutor for e-mail support. Includes ritual work, transpersonal psychology, all wicca subjects, tool making).